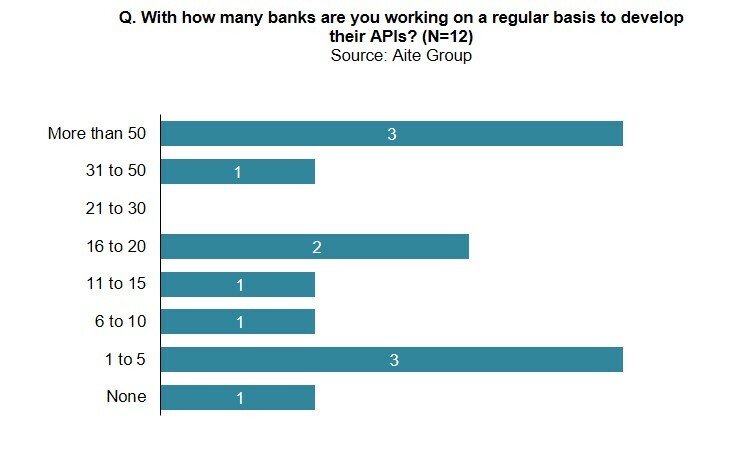 Wholesale banks need to assess their role in the API ecosystem and champion new products and services. London, 14 November 2017 – Transaction banking is receiving heightened attention from fintech companies, which could impact traditional wholesale banks in similar ways to how automation impacted manufacturing, particularly in terms of staff reductions. The march to greater levels of automation is inevitable, so banks must choose whether to embrace automation and gain the benefits, or to reject it and potentially be replaced in the market. A significant portion of wholesale banks has decided to work in partnership with fintech players to develop application programming interfaces. This report focuses on the API services and solutions that fintech vendors offer to banks to service corporate clients and assesses the knowledge gap vendors need to fill in order to meet the needs of their wholesale banking clients. Based on interviews with and surveys of product and strategy managers at global API vendors, this report profiles ACI Worldwide, Axway, Bottomline Technologies, D+H (now Finastra), EdgeVerve Systems (Infosys), FIS, Intellect Design, Misys (now Finastra), Oracle, Pelican, and Temenos. This 36-page Impact Report contains 17 figures and 12 tables. Clients of Aite Group’s Wholesale Banking & Payments service can download this report, the corresponding charts, and the Executive Impact Deck.